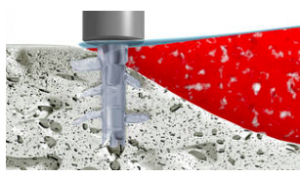 The Sonic Weld Rx which has been developed by KLS Martin provides a unique way to achieve better stability of implants, leading to a better patient experience and aesthetics. The Sonic Weld Rx generates Ultrasonic waves, which in turn vibrates the pin, which causes heat between the pin and the bone surface, liquefying and allowing entry into the implant cavity. This process is just one part of the entire KLS Martin solution to implants. They offer a new, holistic way to fit implants, with greater precision and customer satisfaction. With the latest polymers going into their implants and a unique design that means nothing but bone remains due to them being resorbable, this really could be the next big thing for dental surgeons.